Fancy slipping off to party in India or Morocco, or back in a bygone era? You don’t need a flight or time machine, you can recreate the exotic for yourself with the help of The Arabian Tent Company. 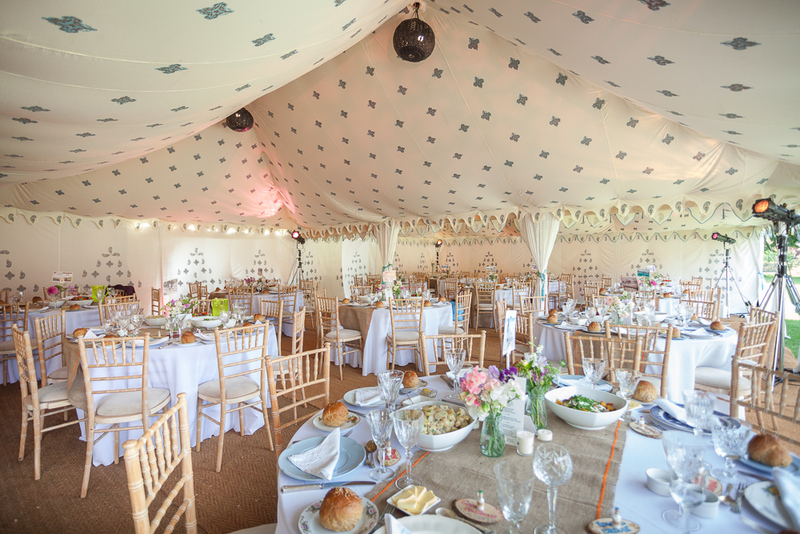 Based at a farm in Henfield, it boasts the largest collection of unique marquees in the UK. 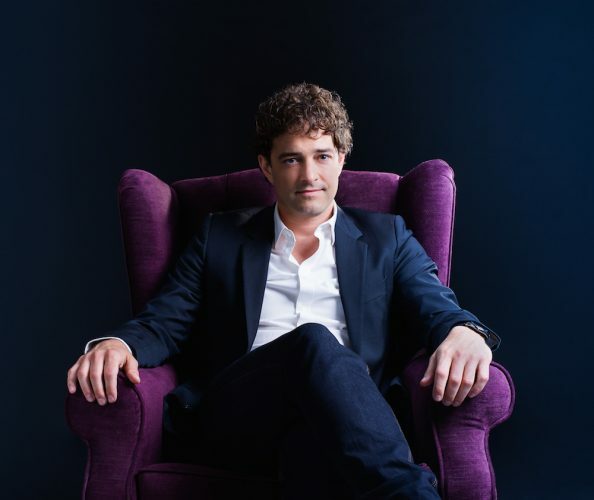 Founder Katherine Hudson has travelled the world sourcing fabrics and furniture to help create a range of unique spaces for weddings and parties. All the tents are handmade in India, while props from lanterns to dance floors, bunting to bespoke bars come from a mixture of production companies, auction houses and souks. Muddy caught up with her to hear about some of the fun parties she’s created, celebrities she’s worked with and what she gets up to in the name of research. Which are your most popular tents? 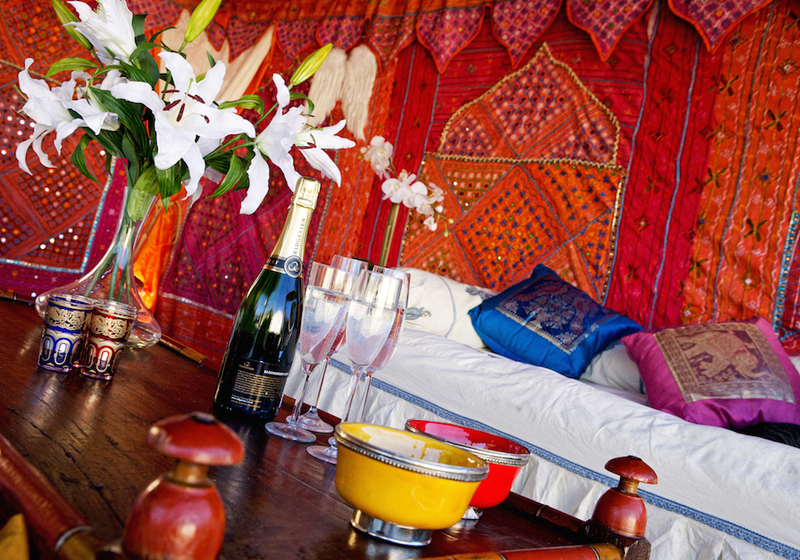 The most popular is Bombay Boudoir for parties and Cornish Cream – the light Indian block printed tent – for weddings. 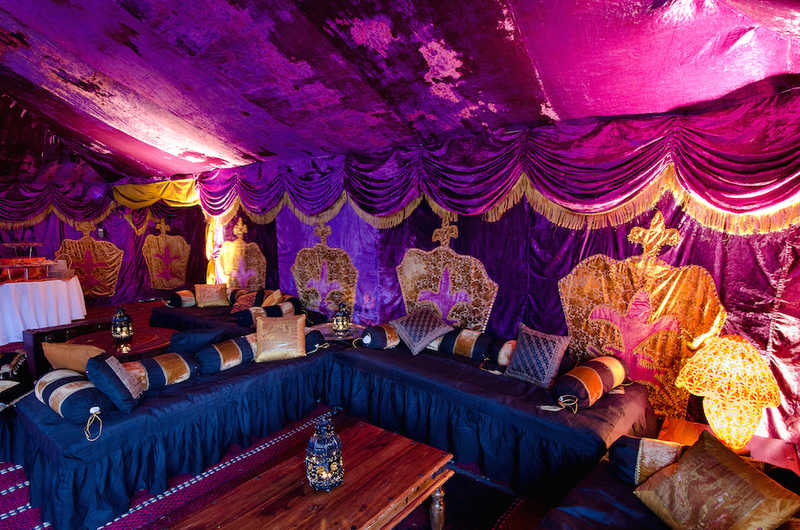 It takes three months to make the Bombay Boudoir and Arabian tents. 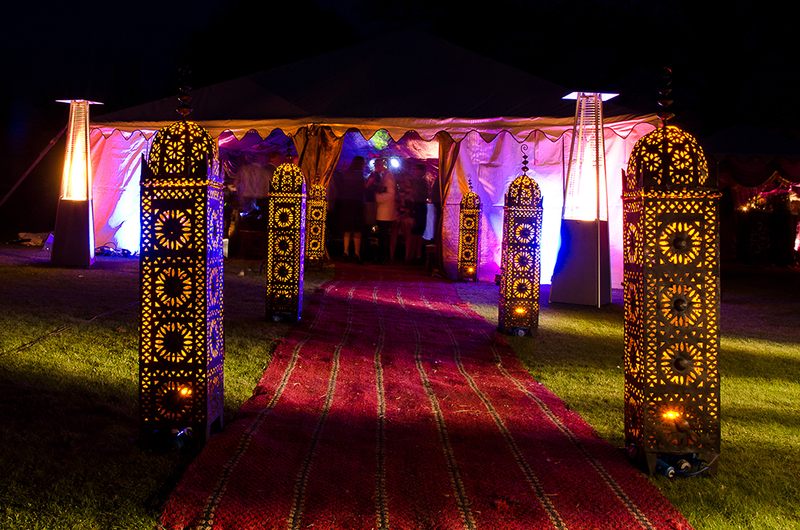 Our Indian tents often get used for Indian weddings and Mehndi parties – when the bride has henna applied to her hands. We recently won the outdoor wedding category at the British Wedding Awards and were also a national winner at the 2019 Wedding Industry Awards. We have a client who loves cherry blossom, so we’re doing cherry blossom chandeliers. We did a scheme last year with gold lame drapping and palm trees. We’re also making brightly coloured tassle garlands at the moment. What are your favourite themes? Seven Deadly Sins is a good theme and I love creating secret rooms in tents – like a little room at the back people have to find through a drape. People don’t tend to get surprises as adults and being able to create a sense of wonder in people is such a gift to give them. It puts them back in their childhood… it’s exactly what we want to do, so they are relaxed and engaging with things. What sort of parties do you cover? We do a lot of milestone birthdays. I love 40th parties – you’re still young but you have good friends around. We do quite a lot of festival VIP areas – we can do a main reception area, a spa, cinema etc… We’ve done Latitude, CarFest, Henley Regatta… We’re designing an area for a festival at the moment and we’re going to put a secret cocktail bar in it. At Christmas we can drape and dress a room. 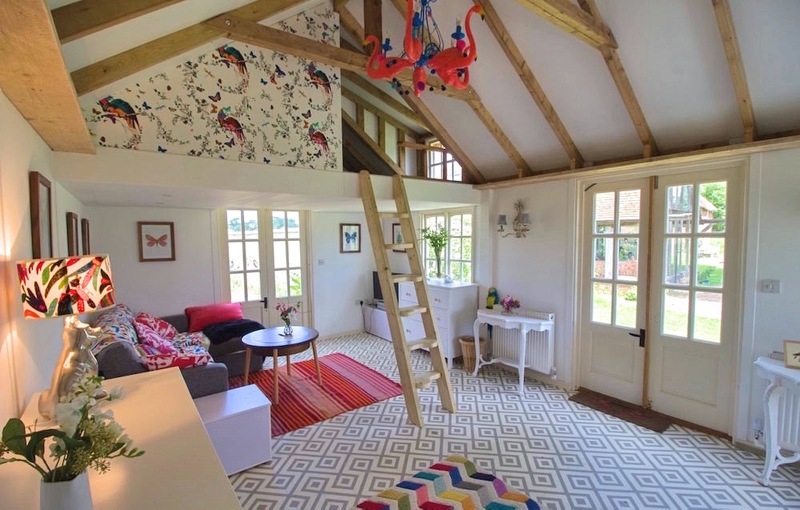 We like the transformation of spaces, I like the fact it’s got a child-like wonder to it. Yes, several. We did Baby Spice’s 40th – she went for the Bombay Boudoir. I’m visiting Jeremy Irons next month, he loves our ideas for a party with a tented interior in his home. We’re doing the wedding of JP Cooper, of September Song fame, this August which will be a fun one to be involved with as he and his fiance are really relaxed and sweet. What are the current wedding and party trends? People are still going for greenery, ever since the first Royal Wedding [Kate and William] with the trees in the cathedral. I love using foliage. Also, metallics are in. 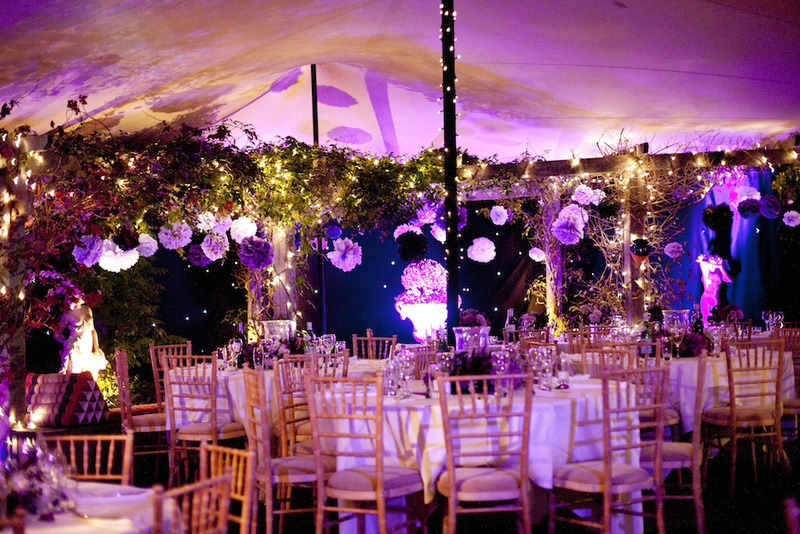 I often encourage these – gold or silver or rose gold to add to a colour scheme, it adds light to a venue. Lounge seating for wedding dining is another trend and sharing plates are still huge. 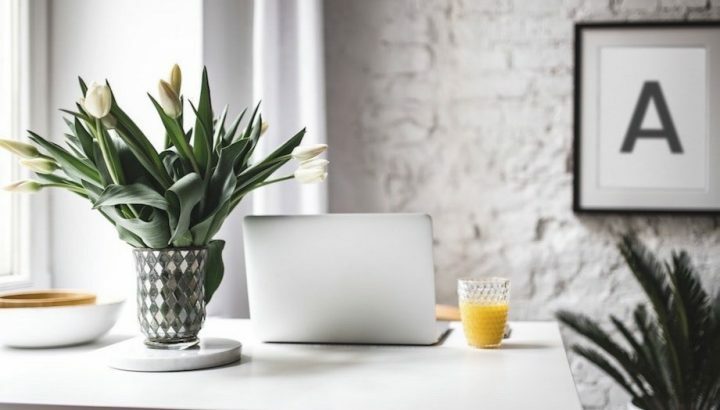 We’re not wedding organisers but we provide a lot of things that people need for an event and if they need other services we have contacts so we can fill in the gaps. We do have an event crew on site for a bit of peace of mind. Different cultural designs – I love travelling, I think you can be the best version of yourself. I love festival culture and I’m going to more parties and festivals these days. I also do collaborations with people. I’ve been lucky to hang out with very creative people who’ll do things just because it is fun. I’m going back to fun – there’s too much seriousness in the world! I encourage people to make more of the outside space. 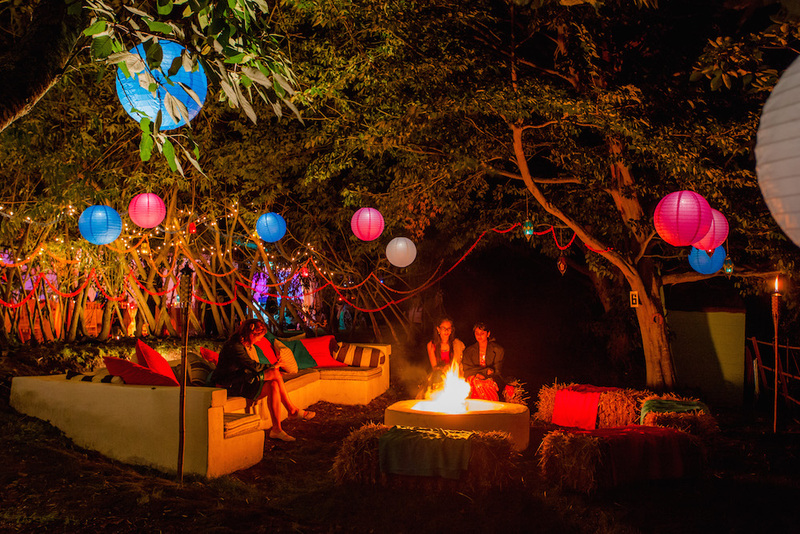 We can create light gardens with LED trees, have a fire bowl and barrels for people to put their drinks on. How far do take your tents? Most jobs are in the home counties but we go all over – the islands of Scotland, Ireland, Rome, Cannes… People find us because we’re niche. Any hairy moments over the years? Everything in India takes longer and in the early days one of my shipments went right up to the wire. We went to the docks to collect it, then drove straight to the site and spent the whole night putting it up for the next day! Any future designs on your wish list? 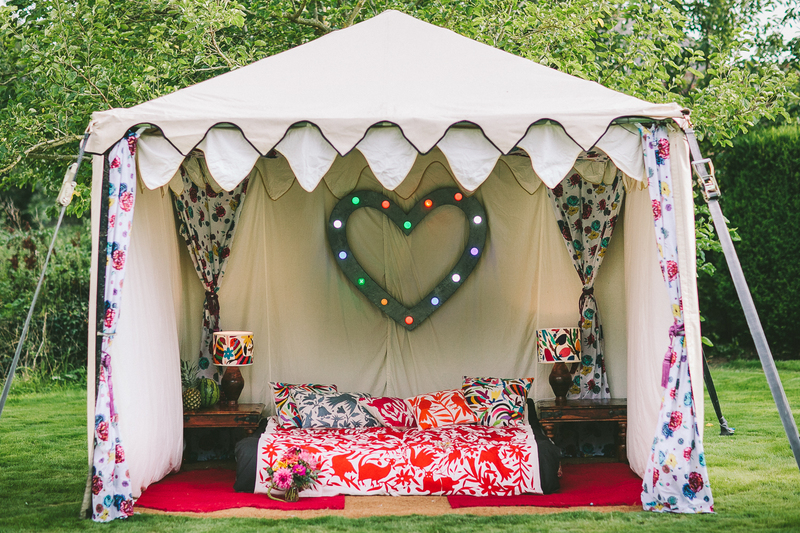 I’d love to make a velvet peacock tent and I’d love to make a white version of the Indian tents – boho is coming back. I’ve never been asked for anything too crazy. I like crazy. Most people aren’t brave enough to go bombastic! 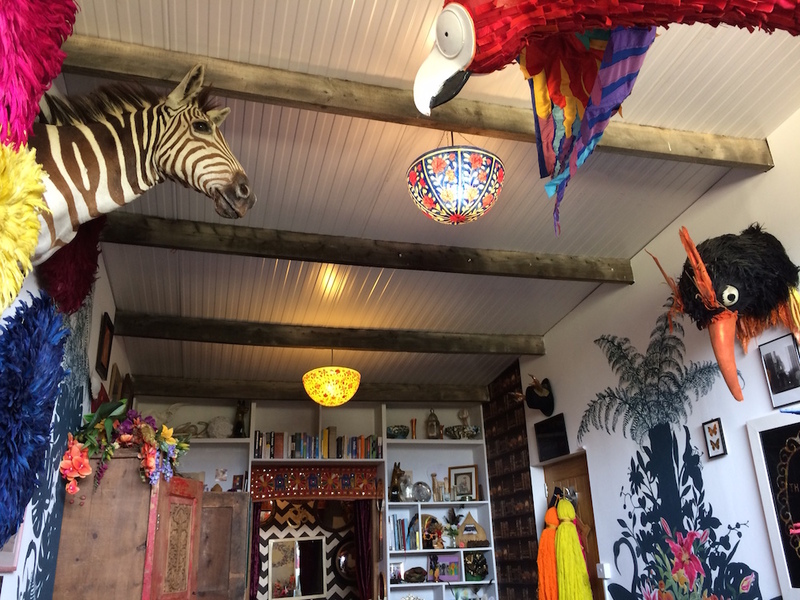 Katherine in party mood in her glamorous Airstream Caravan – available for Airbnb hire at Henfield. 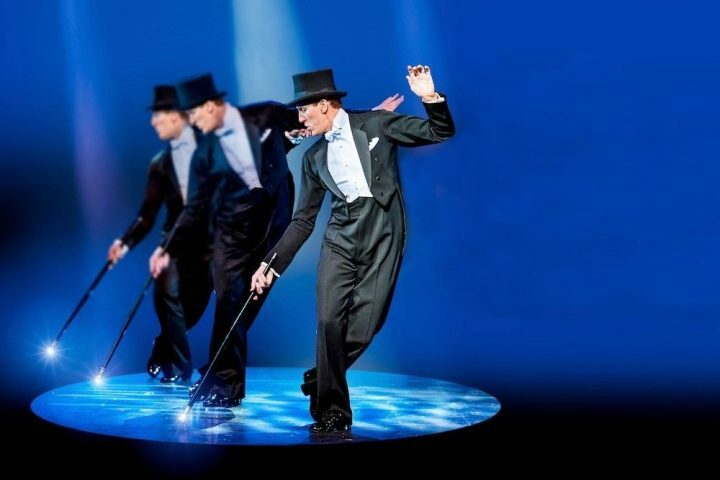 Open Day: For inspiration for your own party join one of The Arabian Tent Company open days at its Henfield showroom where sections of various tents styles are erected inside a barn. The next is on the afternoon of Sat 13 April. The farm also includes an Air BnBand hosts photography and yoga retreats and onsite weddings.